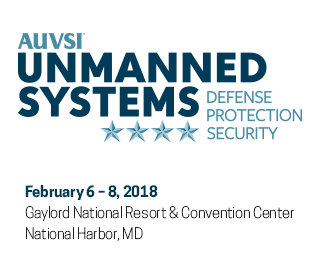 Hear from defense leaders, homeland security professionals, law enforcement and industry experts as they discuss UAS mitigation – both internationally and here at home. Session topics will cover the latest technologies available to counter drone threats, opportunities to engage with government agencies to develop new solutions and discussions on proactive measures to combat illicit drone use. Description: This presentation will provide an overview of DARPA's efforts in developing new unmanned platforms and associated technologies. In doing so, it will examine the agency's history in this area, ranging from DARPA's work on early UAV's to more recent UxS initiatives. Finally, it will highlight the agency's current focus on autonomy and counter-UAS efforts. Description: Adversary use of unmanned systems technology is challenging the Department of Defense's capability development and procurement processes. A senior steering group was formed to align, integrate and accelerate counter unmanned systems efforts across the Department. Initially focused on policy, technology and operational challenges, efforts expanded to posturing the Department for long-term success against adversary exploitation of unmanned systems technology across domains. Description: The FBI is pursuing increased use of unmanned aerial systems for law enforcement and national security operations. With increased operational objectives come significant challenges. These challenges present in both in the operational and counter UAS arena. Potential solutions will also be addressed as well as how we can collaborate as partners across law enforcement, DOD, the private and public sectors to endeavor to resolve these challenges. Description: A binary decision, shoot, don’t shoot. Stop, go. Left, Right, Faster, Slower. Up, down. Kill, don’t kill. These are the binary decisions that our sensors and platforms enable on a daily basis. Ultimately, regardless of tech specs, innovation and science, our end users need us to enable the binary decision they have to make, which at times could mean life and death. How do we create the conditions for an optimal binary decision? Helping the human to see things they wouldn’t normally see and know things they wouldn’t normally know. From this, a binary decision can be made more quickly and more correctly than ever before. Whether the mission is defeating malicious UAVs, securing a large public venue or analyzing a vast data set quickly, building a system that empowers the human decision instead of replacing it is the critical path for our industry. Description: As the use of small UAS increases for a number of beneficial missions, so does the threat of their misuse, either intentionally or unintentionally. This panel will address the potential threats that must be considered, both here at home and abroad. Government representatives from the DOD, DHS, FBI, DOE and law enforcement will participate in a discussion addressing key issues of interest to the community and potential solutions to reduce the threat.